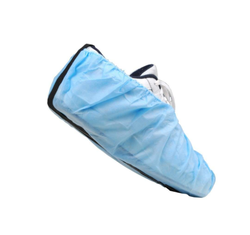 Our product range includes a wide range of disposable anti static shoe cover, non woven shoe cover with conductive strip, conductive shoe covers, conductive shoe cover and esd shoe cover. 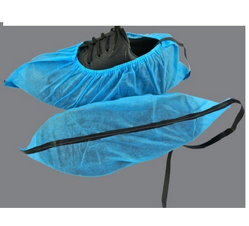 We are manufacturer and supplier of premium quality Disposable Anti Static Shoe Cover. These shoe covers are used in ESD Protected Areas (EPA) to prevent the dust on the shoes from contamination. Further, these are also helpful to minimize human body discharges to ESD sensitive devices. The conductive strip inserted into the shoe provides efficient grounding path to static conductive/dissipative floor. These have slip resistant coating, which minimizes the risk of slipping on wet floors. We are manufacturer and supplier of premium quality Non-Woven Shoe Cover with Conductive Strip. These shoe covers are used in ESD Protected Areas (EPA) to prevent the dust on the shoes from contamination. Further, these are also helpful to minimize human body discharges to ESD sensitive devices. The conductive strip inserted into the shoe provides efficient grounding path to static conductive/dissipative floor. These have slip resistant coating, which minimizes the risk of slipping on wet floors. We are manufacturer and supplier of premium quality Conductive Shoe Covers. These shoe covers are used in ESD Protected Areas (EPA) to prevent the dust on the shoes from contamination. Further, these are also helpful to minimize human body discharges to ESD sensitive devices. The conductive strip inserted into the shoe provides efficient grounding path to static conductive/dissipative floor. These have slip resistant coating, which minimizes the risk of slipping on wet floors. 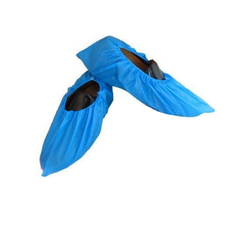 We are the prominent manufacturer and supplier of premium quality Non-Woven Disposable ESD Shoe Covers with conductive Strip. 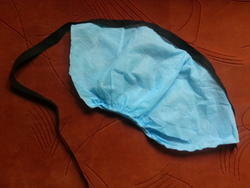 These shoe covers are used in ESD Protected Areas (EPA) to prevent the dust on the shoes from contamination. Further, these are also helpful to minimize human body discharges to ESD sensitive devices. The conductive strip inserted into the shoe provides efficient grounding path to static conductive/dissipative floor. These have slip resistant coating, which minimizes the risk of slipping on wet floors. 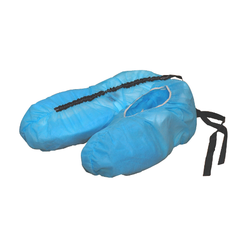 We are manufacturer and supplier of premium quality non woven disposable ESD Shoe Cover. These shoe covers are used in ESD Protected Areas (EPA) to prevent the dust on the shoes from contamination. Further, these are also helpful to minimize human body discharges to ESD sensitive devices. The conductive strip inserted into the shoe provides efficient grounding path to static conductive/dissipative floor. These have slip resistant coating, which minimizes the risk of slipping on wet floors. Looking for Shoe Cover ?